This Master Meter is perfect for applications with challenging space requirements such as under counters, between studs, and more! 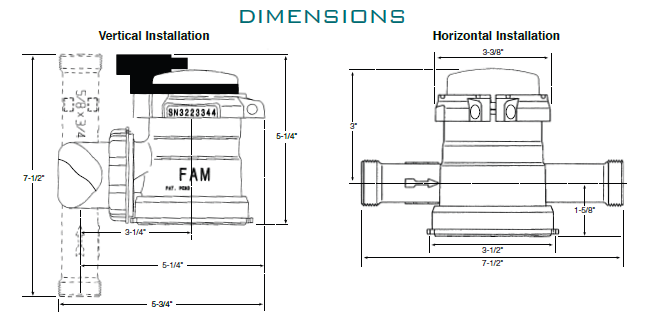 Regardless of pipe configuration, the patented design of the flexible axis meter assures that it can always be in the horizontal position which is required for maximum accuracy and efficiency. Since you won’t have to reconfigure any existing plumbing lines, which can keep your project’s cost to a minimum. NOTE: Choosing Lead Free Brass Tube automatically upgrades end connections to Lead Free Brass.